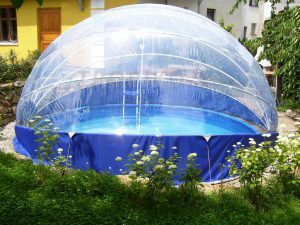 Seasonal roofing round pool. 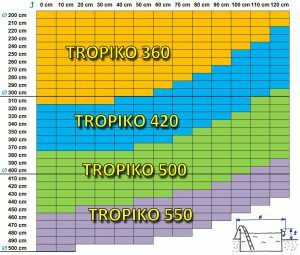 Roofing diameter of 500 cm. 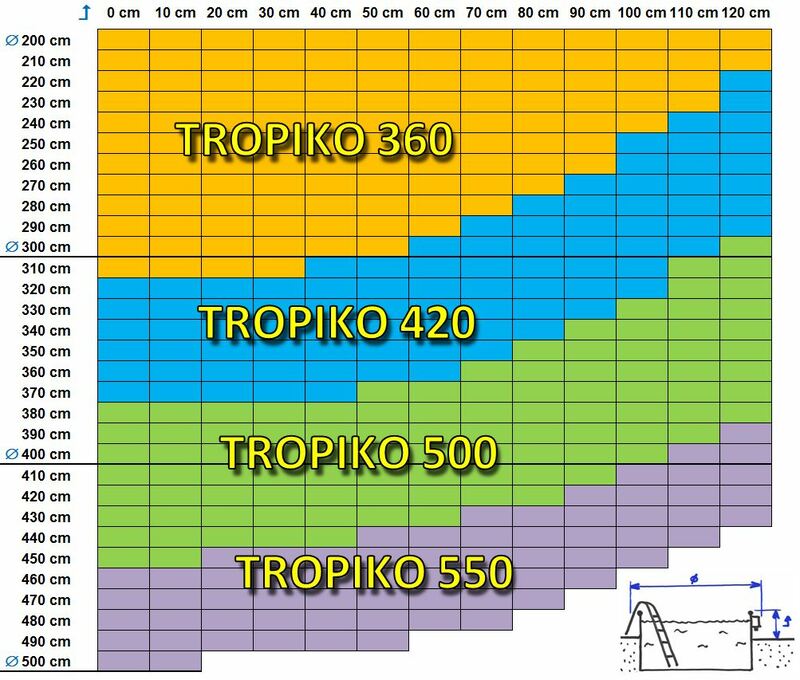 TROPIKO pool roofing is determined to cover semi and fully inground pools (diameters of 450 cm) or to cover above ground pools. Construction of the roofing consists of formed aluminium tubes with eloxal coating. 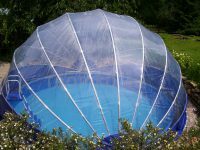 The selected design ensures high strength and easy handling. A special clear polished foil, which is resistant to UV radiation, is stretched over the construction. 100% opening of the roofing for unrestrained swimming under the summer sky. TROPIKO pool roofing diameter of 5 m, height 2,5 m.
Cardboard box 215 cm x 53 cm x 20 cm, weight 42 kg. Installation Instructions, Operating instructions and warranty conditions … PDF.